The film studies major is an academic degree that allows students to explore movies and documentaries from both sides of the silver screen. By critiquing what others have produced and by producing and writing films that others will watch, students gain a holistic understanding of the power of film to shape faith and culture. You’ll work closely with film production students, together crafting the highest quality films possible. Through classes, practicum experiences and studio work, you will gain the practical knowledge and experience needed to enter a career in film or attend graduate school, particularly in the areas of film theory, film history, film aesthetics, or screenwriting. 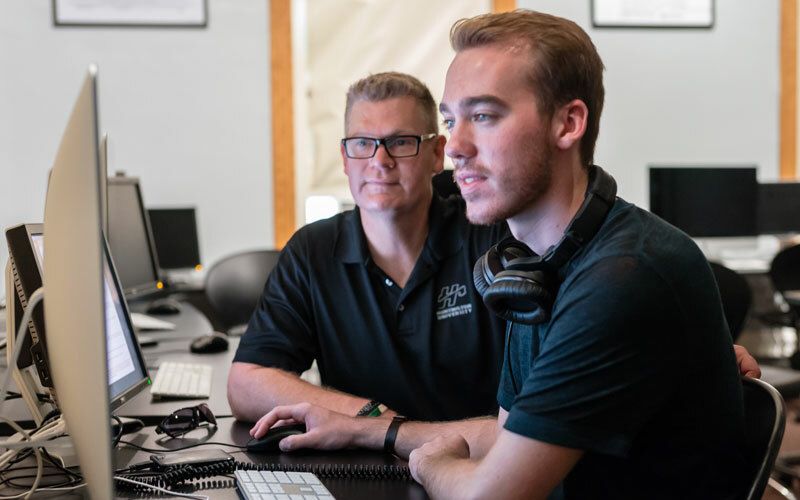 If you're interested in studying film studies in the Digital Media Arts department at Huntington University, consider applying for the DMA Film Studies Grant. Strong foundations in critical thinking. 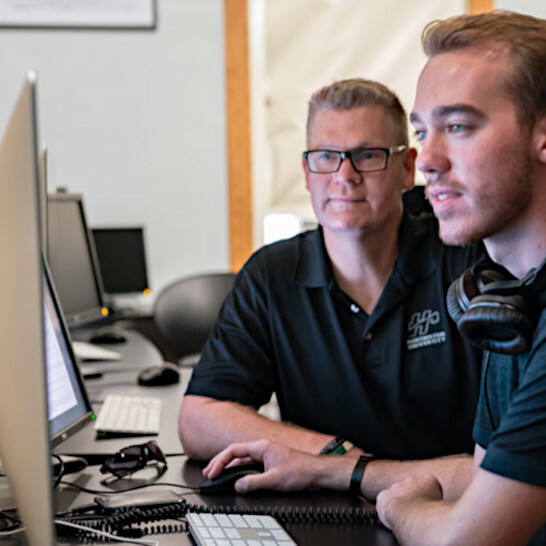 The Bachelor of Arts degree in film studies is primarily focused on learning about film and emphasizing a broader, more critical approach to the historical, literary, and cultural aspects of the medium. 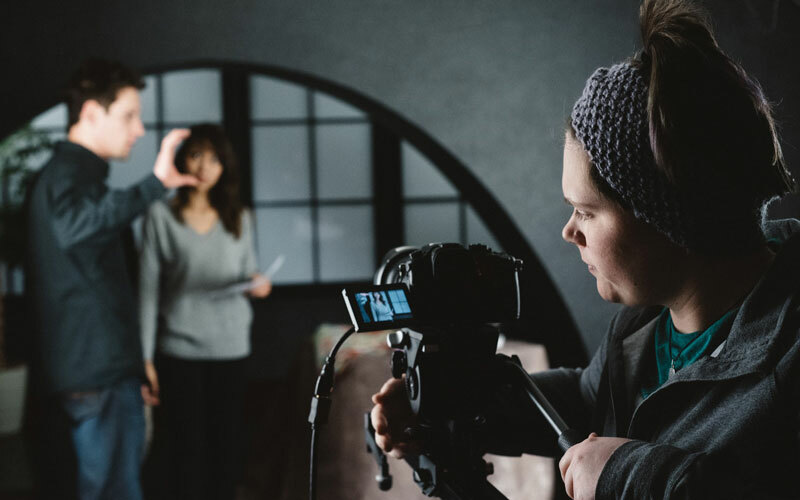 We strive to help you understand and articulate the place that film holds as an art form in our 21st-century culture while creating films of your own with film production majors. You’ll use your newly-formed foundation in storytelling and filmmaking techniques to produce and direct both live-action and documentary films that reflect our faith and speak truth to the culture at large. The Martin Center for Digital Media Arts in Becker Hall is fully equipped for any filmmaking experience you desire. Our department houses green screen studios, editing labs, a screening room, and both sound design and Foley workspaces. Students also gain experience with the newest DSLR cameras, LED lighting, sound recorders, and our RED cinema camera. 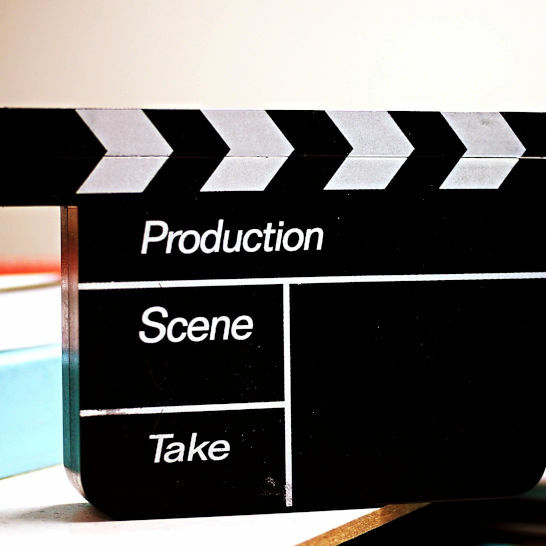 Unlike many film schools, the department believes in a hands-on approach to learning, so you will have access to all these items and spaces starting from day one. Stay on campus for the week, taking classes and working on projects during the day, with social time and field trips in the evenings. Students also have an opportunity to participate in the Los Angeles Film Studies semester exchange, giving you a chance to both complete an internship within the Hollywood film industry and either create films or write screenplays with artistic peers from all over the country. Closer to campus, you can gain professional experience and get paid for it during the school year through DMA’s entrepreneurial portal, Clear Insights. 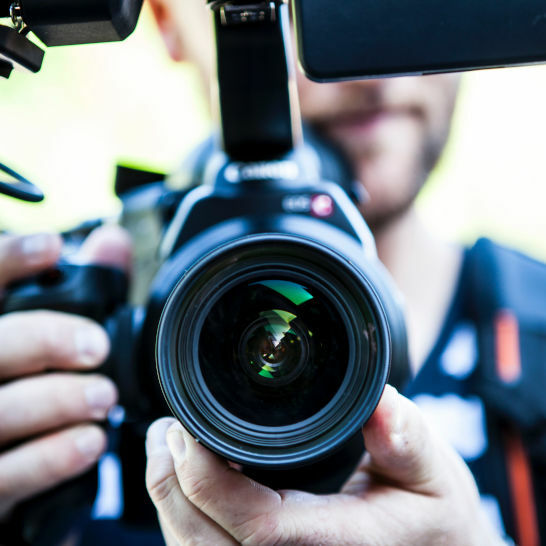 Recent clients have included advertising agencies, film and video production companies, local businesses, and a host of non-profit organizations and ministries. Work alongside some of the industry's most talented creators. 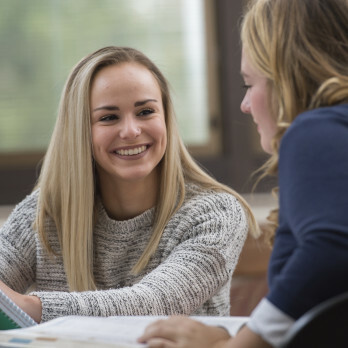 Come see all the great things Huntington University has to offer!